A week ago we were very proud to present The Smart Cube, the world’s first camera accessory that adds Android software and 3G/4G/Wi-Fi connectivity to your DSLR camera. Today we announce the cancellation of our product after hearing some bitter news: there already is a smart camera. With the exact same features as our great Cube. Our goal was to revolutionize the way people use high-end cameras. Someone beat us to the revolution. The camera we’re talking about is the Samsung Galaxy NX. 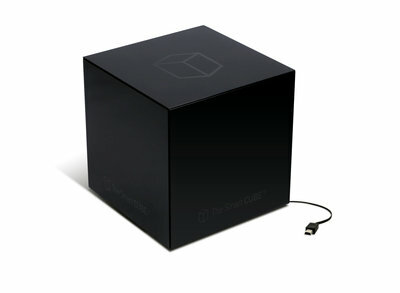 It may be small, it may be smart, but it will never be as cool as The Cube. Samsung may have won this battle, but Hans and Mark will return. The Smart Cube is the world's first camera accessory that adds Android software and 3G/4G/Wi-Fi connectivity to your DSLR camera. Please watch our product video and go to our website for more info. We are proud to present The Smart Cube, the world’s first camera accessory that adds Android software and 3G/4G/Wi-Fi connectivity to your DSLR camera. Via a simple USB connection The Smart Cube makes in-camera editing and social sharing possible on every camera on the market. Our goal is to revolutionize the way people use high-end cameras, because we believe in easy usability.